A grand view of a grassland area with hiking paths in Iowa. 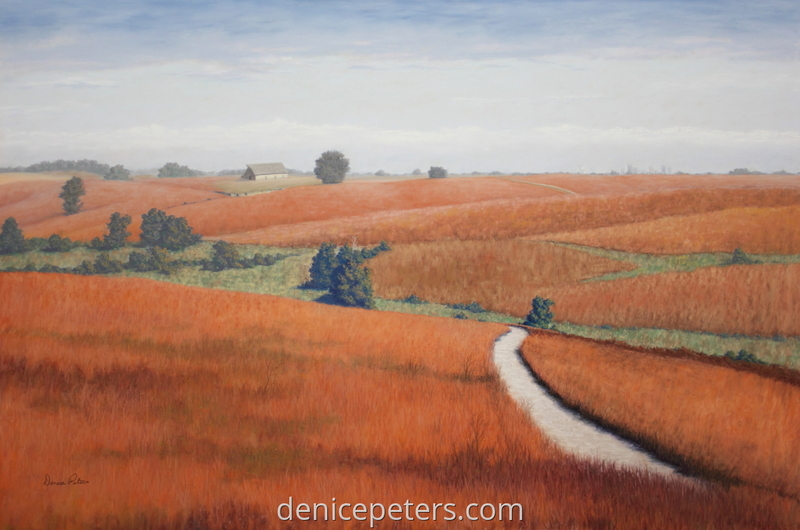 I loved the long distance view and the wide open spaces along with the warm grass color of late summer/early autumn. Pastel on Uart board. 12" x 18"17" x 25.75"20" x 30"